The first episode of Season 2 of Neil Gaiman’s fantasy drama series American Gods is now available on Amazon Prime Video, continuing the massive conflict between the Old Gods and the New Gods. New episodes will be added to Amazon Prime Video every week. American Gods stars Ricky Whittle, Emily Browning, Crispin Glover and Bruce Langley. The full list of movies and shows coming to Amazon Prime Video Canada in March can be found here. George Lucas’ second film before making Star Wars takes a look at rock ‘n’ roll culture in 1962. The coming-of-age drama stars Richard Dreyfuss, Ron Howard, Paul Le Mat and Harrison Ford. Searching is a timely story about a father learning more about his missing daughter through social media as he races against the clock to find her. Interestingly, Searching is “shot” completely from the perspective of computer and smartphone screens, giving the film a unique presentation while challenging the actors to make the most out of their reduced presence. Searching was co-written and directed by Aneesh Chaganty and stars John Cho, Debra Messing and Michelle La. The full list of movies and shows coming to Crave in March can be found here. The second half of the fifth season of Netflix’s Arrested Development comedy series has hit Netflix and promises to see the dysfunctional Bluth family solve the mystery of who killed Lucille 2. The streaming giant hasn’t revealed if the series has been renewed, so it’s possible this is the Bluths’ swan song. Arrested Development stars Jason Bateman, Portia de Rossi, Toronto’s Will Arnett, Brampton, Ontario’s Michael Cera, and Tony Hale. Queer Eye stars Antoni Porowski, Tan France, Karamo Brown, Bobby Berk and Jonathan Van Ness. 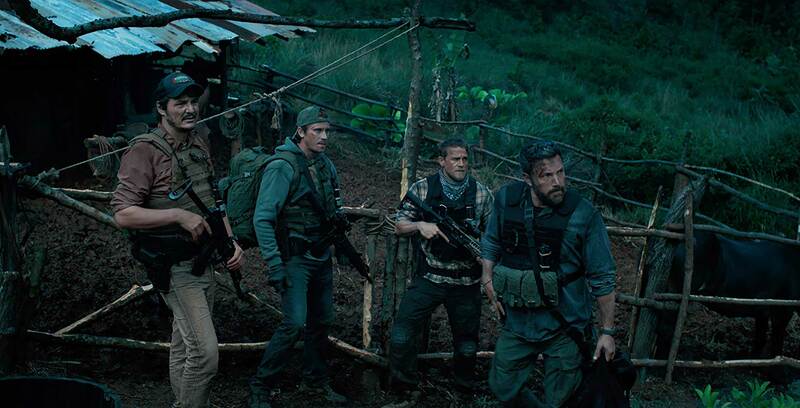 Triple Frontier, Netflix’s latest star-studded original film, is an action-thriller focused on follows a group of former Special Operations soldiers who reunite to plan a heist job. Triple Frontier was co-written and directed by J.C. Chandor and stars Ben Affleck, Oscar Isaac, Charlie Hunnam, Garrett Hedlund and Pedro Pascal. The full list of movies and shows coming to Netflix Canada in March can be found here. What are you looking forward to streaming this week? Let us know below.